Large Format Bottles will be open as the evening progresses. At the Congress of Vienna, in 1815, Belgium (The Southern Netherlands) and the Northern Netherlands (Holland) were united to form one State. This new state was ruled by King William I. Although his policy was beneficial to the Belgian bourgeoisie, there was protest. The Catholics objected against the interference of the protestant king in clerical matters. The Liberals demanded more freedom. In 1828 Catholics and Liberals drew up a concerted program of demands. The association between Catholics and Liberals was called unionism. 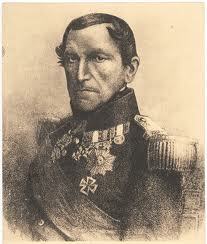 “King of the Belgians” on 26 June 1831. He swore allegiance to the constitution in front of the Saint Jacob’s Church at Coudenbergh Place in Brussels on 21 July 1831. This day became the Belgian national holiday.